20This is the inheritance of the tribe of the children of Judah according to their families.21And the uttermost cities of the tribe of the children of Judah toward the coast of Edom southward were Kabzeel, and Eder, and Jagur,22And Kinah, and Dimonah, and Adadah,23And Kedesh, and Hazor, and Ithnan,24Ziph, and Telem, and Bealoth,25And Hazor, Hadattah, and Kerioth, and Hezron, which is Hazor,26Amam, and Shema, and Moladah,27And Hazargaddah, and Heshmon, and Bethpalet,28And Hazarshual, and Beersheba, and Bizjothjah,29Baalah, and Iim, and Azem,30And Eltolad, and Chesil, and Hormah,31And Ziklag, and Madmannah, and Sansannah,32And Lebaoth, and Shilhim, and Ain, and Rimmon: all the cities are twenty and nine, with their villages:33And in the valley, Eshtaol, and Zoreah, and Ashnah,34And Zanoah, and Engannim, Tappuah, and Enam,35Jarmuth, and Adullam, Socoh, and Azekah,36And Sharaim, and Adithaim, and Gederah, and Gederothaim; fourteen cities with their villages:37Zenan, and Hadashah, and Migdalgad,38And Dilean, and Mizpeh, and Joktheel,39Lachish, and Bozkath, and Eglon,40And Cabbon, and Lahmam, and Kithlish,41And Gederoth, Bethdagon, and Naamah, and Makkedah; sixteen cities with their villages:42Libnah, and Ether, and Ashan,43And Jiphtah, and Ashnah, and Nezib,44And Keilah, and Achzib, and Mareshah; nine cities with their villages:45Ekron, with her towns and her villages:46From Ekron even unto the sea, all that lay near Ashdod, with their villages:47Ashdod with her towns and her villages, Gaza with her towns and her villages, unto the river of Egypt, and the great sea, and the border thereof:48And in the mountains, Shamir, and Jattir, and Socoh,49And Dannah, and Kirjathsannah, which is Debir,50And Anab, and Eshtemoh, and Anim,51And Goshen, and Holon, and Giloh; eleven cities with their villages:52Arab, and Dumah, and Eshean,53And Janum, and Bethtappuah, and Aphekah,54And Humtah, and Kirjatharba, which is Hebron, and Zior; nine cities with their villages:55Maon, Carmel, and Ziph, and Juttah,56And Jezreel, and Jokdeam, and Zanoah,57Cain, Gibeah, and Timnah; ten cities with their villages:58Halhul, Bethzur, and Gedor,59And Maarath, and Bethanoth, and Eltekon; six cities with their villages:60Kirjathbaal, which is Kirjathjearim, and Rabbah; two cities with their villages:61In the wilderness, Betharabah, Middin, and Secacah,62And Nibshan, and the city of Salt, and Engedi; six cities with their villages.63As for the Jebusites the inhabitants of Jerusalem, the children of Judah could not drive them out: but the Jebusites dwell with the children of Judah at Jerusalem unto this day. 30And they departed thence, and passed through Galilee; and he would not that any man should know it.31For he taught his disciples, and said unto them, The Son of man is delivered into the hands of men, and they shall kill him; and after that he is killed, he shall rise the third day.32But they understood not that saying, and were afraid to ask him. 22And while they abode in Galilee, Jesus said unto them, The Son of man shall be betrayed into the hands of men:23And they shall kill him, and the third day he shall be raised again. And they were exceeding sorry. How has fear kept you from understanding of the truth? Why were the disciples distressed about what Jesus said? 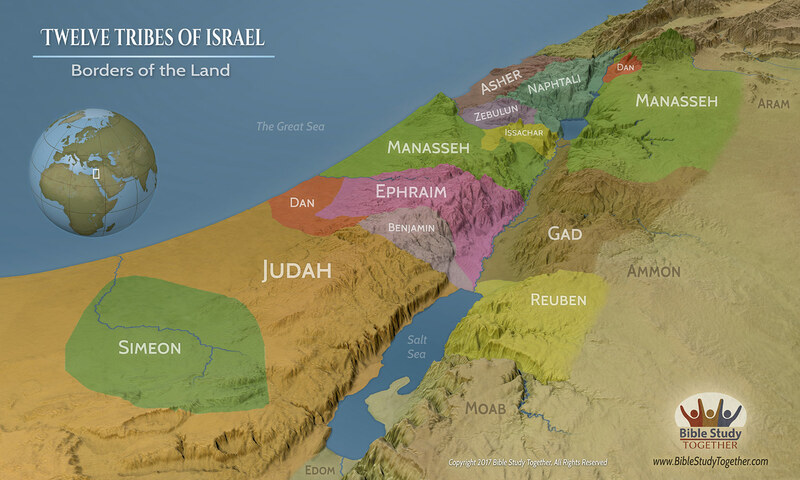 What is the advantage of having such specific descriptions of the land that the Israelites were to inherit? Why didn’t Jesus want everyone to know what he was teaching his disciples? Help someone gain understanding of a hard saying.